Readdle's PDF Expert for iPad has been updated with the ability to do a full text search across your PDF library. Additionally, there is a new sorting panel and a much needed eraser tool for handwritten notes and little conveniences like the ability to hit the tab key to move to the next field when filling out forms. Document Search now looks far beyond the file name. It lets you find the needed documents faster and easier than ever before! Support of "Tab" and arrow keys on the bluetooth keyboards when filling PDF forms makes the process lightning fast. Handwriting and Wrist Protection are now better than in many note taking apps. 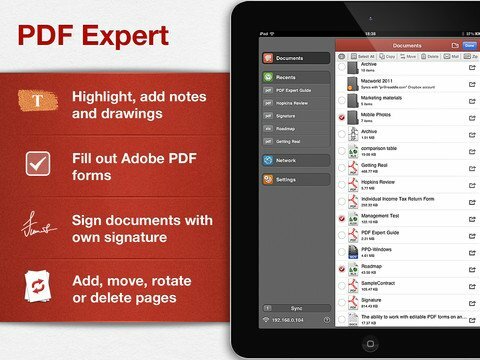 PDF Expert is available on the iPad for $9.99.